While it may be a little over the top for some business, it’s famous for making customers feel really appreciated. It makes them want to come back. Creating a culture of friendliness doesn’t just start at the front door – it can also be accomplished on the phone. Many customers will connect with you for the first time through voicemail. A warm, friendly greeting can make a great first impression and reassure them that you’re trustworthy. Does your voicemail send a welcoming, friendly message? Or does it fall flat? The tone and emotional direction of your message will depend on the nature of your company. But regardless of your service or product, customers will want to hear the voice of a real person, not a robot. As with all communications, it’s not always what you say, but how you say it. Keep your tone professional, yet casual and conversational. Talk like you know the customer, even if you’ve never met, and speak from the heart. When you do, the pitch and rhythm of your voice will drop to a relaxed level. Slow down a bit and allow for natural pauses. Before you record your message, take several deep breaths, do some yoga stretches or listen to a funny joke. This will relax your upper body, and your voice will sound more gentle and pleasant. 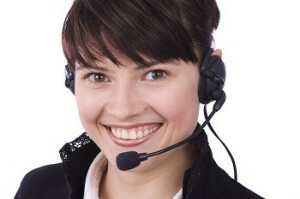 Try to project your voice and tone as if you’re talking to the customer face-to-face. Speak in a clear, natural and confident way. Tension in your voice will be noticeable. If you feel stressed take some time out. Breathing deeply and slowly will improve your delivery. Don’t overdo it by being too crafty or clever. Content is important, too. If you’re unsure what to say, there are plenty of good online templates with messages for many situations. You know your callers best: Think about what they might want to know and add it to your voicemail greeting. If possible, let them know why you’re not answering your phone and when you’ll call them back. Consider offering an emergency contact option and referring them to the FAQ page on your website, until you can return the call. And don’t forget to use Halloo’s auto attendant service to ensure messages are left in the right place. Design the options based on topics that customers routinely call about, not just a list of employee’s names. This entry was posted in Customer Service, Voicemail by Guest. Bookmark the permalink.